I’m nutty about cornmeal. I love the crunch and texture that it adds. 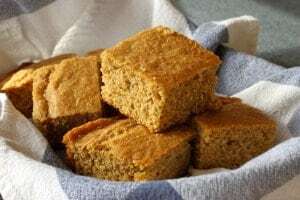 This whole-grain cornbread recipe has yogurt and honey. 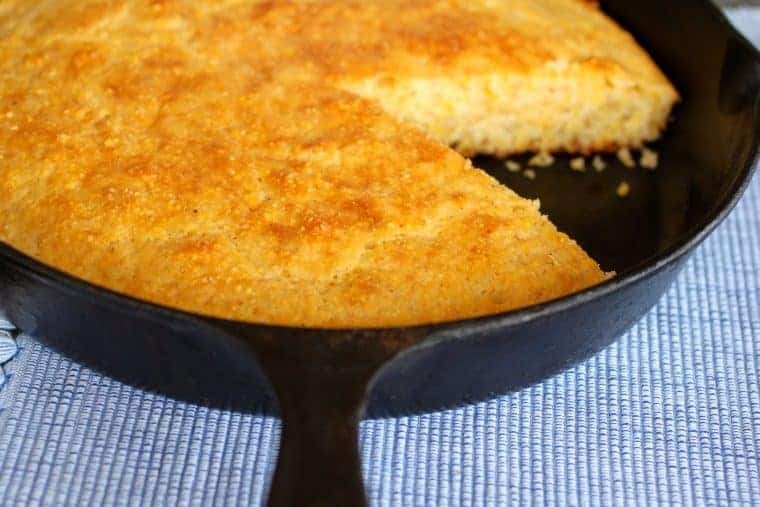 Cornbread has always been a favorite. Both Grandmas and my mom baked it regularly. Always in a cast-iron skillet. Always. I’m nutty about cornmeal. I love the crunch and texture that it adds to cornmeal cookies, pancakes, muffins, biscotti, pizza crusts, and even in chili as a thickener. To keep pizza dough and bread from sticking, I use it to dust pans and pizza peels. 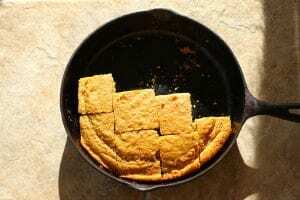 And I toast cornbread cubes to make croutons. One of my pantry staples (well, actually, freezer staples) is medium-grind cornmeal. This amps up the crunch factor, but also the nutrients. The good-for-you germ and bran are retained so fiber is increased. What’s not to love about that? 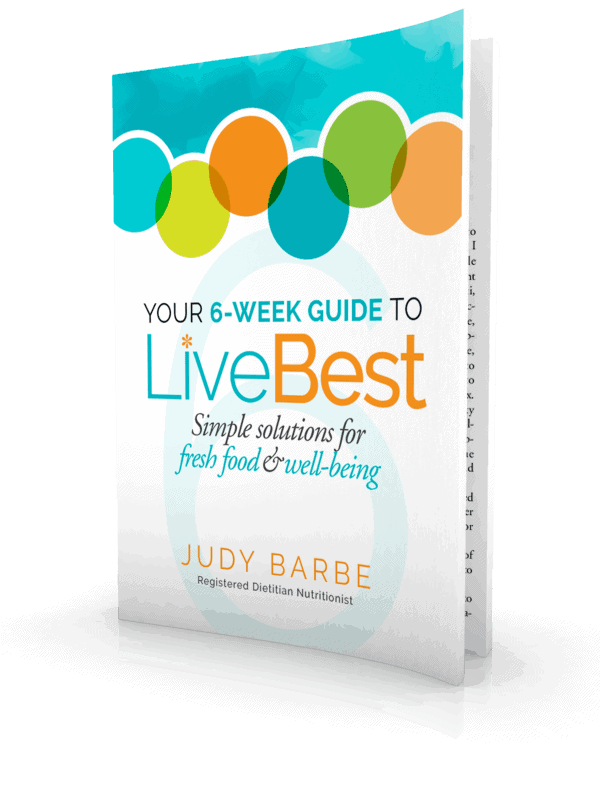 If stored properly in an airtight container in the fridge or freezer, whole grains, including cornmeal can be used up to 6 months beyond the sell by date printed on the package. Because of their high oil content, whole grains can spoil easily. 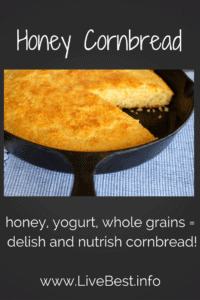 I like my cornbread plain Jane and not too sweet. Many recipes call for more sugar, as in half a cup or more. I’m pretty sure that takes it into cake category. I add sweetness when I eat it with a drizzle of honey. If you like more, batter mix-ins could be chopped jalapeño or red peppers, whole corn, dried cranberries or blueberries, or shredded cheese. Cornbread doesn’t last long in my kitchen. 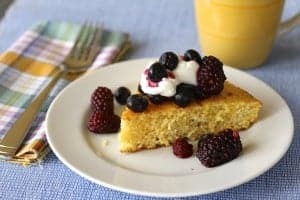 I eat it toasted for breakfast with a dollop of plain yogurt and berries. Kind of like shortcake. 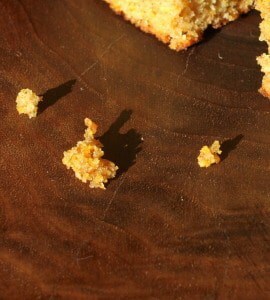 No matter how you eat it, cornbread is good to the last crumb. Medium-ground cornmeal is worth seeking. It gives more texture, flavor and nutrition to your baked goods. 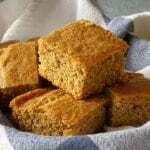 If you don’t have medium-ground cornmeal you can use all fine ground. Add egg mixture to flour mixture. Stir just enough to combine. There may be visible flour lumps. Over mixing the batter will toughen the cornbread and cause tunnels to form in the bread as it bakes. Add butter to hot cast-iron skillet. Heat butter until brown and bubbly, but don’t let it burn.